Adam Foulds’ first novel, The Truth About These Strange Times (2007) won the 2008 Sunday Times Young Writer of the Year Award and a 2007 Betty Trask Award. This was followed by the long narrative poem, The Broken Word (2008), about Kenya’s Mau Mau uprising in the 1950s, seen through the eyes of an English schoolboy. It was shortlisted for the 2008 John Llewellyn-Rhys Memorial Prize and the 2009 Sunday Times Young Writer of the Year Award, and won a Somerset Maugham Award and the 2008 Costa Poetry Award. His second novel, The Quickening Maze (2009), was shortlisted for the 2009 Man Booker Prize for Fiction. In 2013 Adam was named as one of Granta’s Best of Young British Novelists. 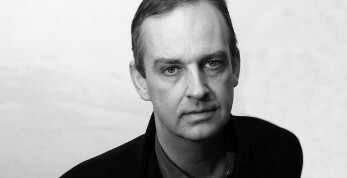 His third novel In The Wolf’s Mouth (2015) was shortlisted for the Walter Scott Prize in 2015. Adam lives in London. He was elected a Fellow of the Royal Society of Literature in 2010. This short novel is a miracle of articulacy, insight and indelible images. Michael Reed is a fellow at an American university. In a sequence of intense, peculiar but entirely plausible encounters, all that he has been holding together comes apart. A great novel of grief and rebirth. This fabulous biography is, perhaps surprisingly, a real page-turner. 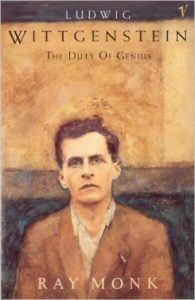 Wittgenstein's life had such depth and dash to it. From a Viennese childhood of tremendous privilege (Brahms would play in private concerts at the family home) through the trenches of the First World War where Wittgenstein was transfixed by Tolstoy's The Gospel In Brief, to Cambridge where he defended his PhD thesis, the text of the Tractatus Logico-Philosophicus, to Bertrand Russell and another don with the line "Don't worry, I know you'll never understand it," to giving away an inheritance that had made him one of the richest men in Europe, Wittgenstein's life was spent endlessly confronting the question What can we say is true? And how do we live in that truth? Bertrand Russell later described Wittgenstein as "the most perfect example I have ever known of genius as traditionally conceived; passionate, profound, intense, and dominating," At times, this biography reads like the life of an ascetic saint, but one who along the way was an aeronautical engineer in Manchester, designed a masterpiece of a Modernist house in Vienna down to its tiniest details, transformed twentieth century philosophy twice (once with the Tractatus and again when he decided that the Tractatus had been wrong), and who had no interest in material comforts but loved cowboy films and Schubert. It's all completely fascinating. 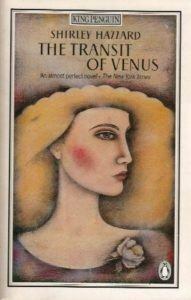 A superb novel and Shirley Hazzard's capolavoro, The Transit Of Venus is a searching meditation on love and guilt and the endless ramifications of the choices we make. 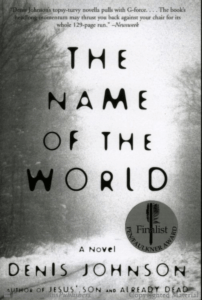 Hazzard's elegant prose and shining, scrupulous intelligence illuminates her characters like a klieg light. Frederick Seidel has emerged as the poet for our times, a Horace for the nascent republic of Donald Trump's America. 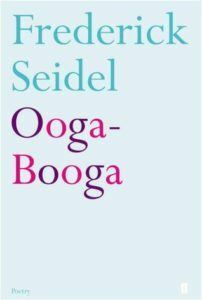 Challenging, offensive, funny, spellbinding, sad, this is Seidel's best collection of recent years, I think. Uncomfortable truths for difficult times.